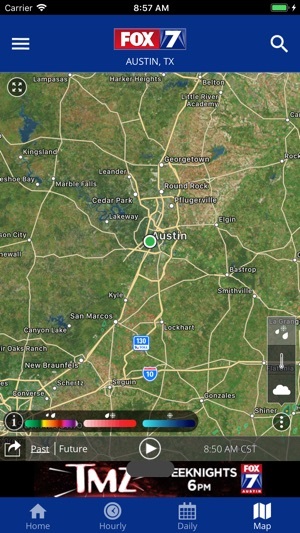 Track your local forecast for the Austin area quickly with the free FOX 7 WAPP. 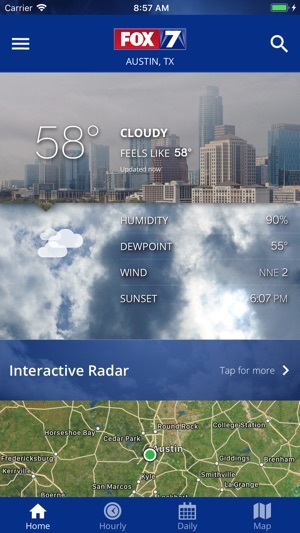 The design gives you radar, hourly, and 7 day weather information just by scrolling. Our weather alerts will warn you early and help you stay safe during storms. 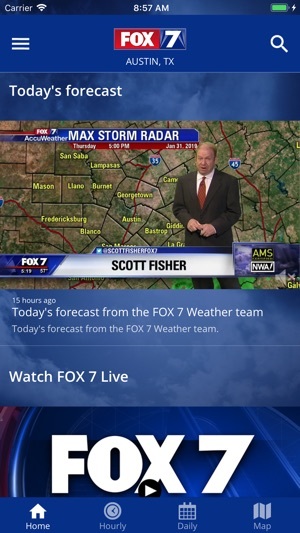 Why download FOX 7 WAPP? ° Get your current forecasts at a glance, with fully integrated GPS to give you accurate conditions wherever you are. ° Receive severe storm alerts from the National Weather Service so you can stay safe. ° Interactive radar map includes the past hour of a storm's movement and future radar to see where severe weather is headed. Regional lightning data and high resolution satellite cloud imagery are also included. Radar is optimized for in-network and WiFi performance. ° Daily and Hourly forecasts update from our computer models. ° Add and save your favorite locations, anywhere in the world. 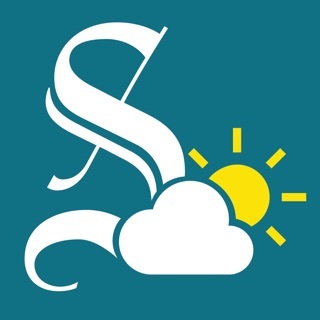 ° Video forecasts and live streaming direct from the FOX 7 Weather Center, so you can stay informed. 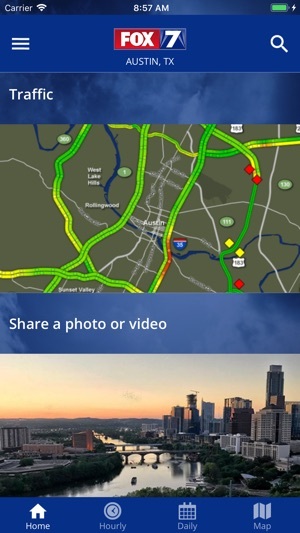 ° Share your weather photos and videos easily with FOX 7. Look for them during the news on TV! 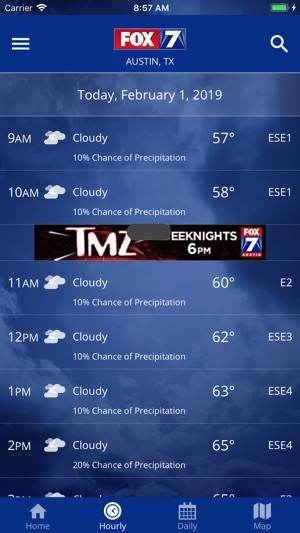 I am a fan of the Fox weather team so I downloaded this app. In our first storm where there was a severe thunderstorm warning the red, warning area covered the radar map and you couldn’t see the radar! Ummm...unhelpful!!! Also it is not intuitive as to how to remove the warning from the map, nor are the radar layers. There should be some set up tiles when you first open it to show all of the features and how to use them. Rework the app and maybe I will try again. It's slow and yes, the ads are sooo annoying. I can't even look at the weekly forecast because I have slot machines continuously spinning in my face! Sorry.. I'll check out keye or kxan. Fox Austin was always my go to for the forecast, but not with this WAPP. This is actually a great app if you don’t mind the ads.